Innovative utilities, both for, and not for, profit, are finding new ways to generate and deliver electricity that are more sustainable and help the environment, customers, and customers’ wallets. Cow Power which generates electricity from farm manure. Additionally, GMP’s EVGo initiative is building a statewide electric EV charging system. And it’s working with Montpelier, Vermont to ultimately make that city the first U.S. state capital to meet all its energy needs – electric, thermal, and transportation – with renewable sources. GMP is also the first utility in the world to become a Certified Benefit Corporation (B Corp). Robin Hood Energy, based in Nottingham, England (obviously) has received recent press and internet notice. It appears to be the only City Council-sponsored not for profit utility in Britain. According to its website ” . . . our mission is to provide low cost energy to all households . . . No director bonuses.” From their website, it’s not clear that they are innovative in things other than their name and UK business structure. However, outside the UK their structure is common. There are approximately 250 municipally owned electric and gas utilities and over 900 private not for profit electric utilities, known as cooperatives, in the U.S. The Los Angeles Department of Water and Power (LADWP) is the largest municipal power utility in the U.S. and has a number of sustainability programs. Its Smart Grid LA demonstration project, which tests new electricity delivery and use monitoring and management techniques, has installed 52,000 digital meters. LADWP also pays rebates to customers who install photovoltaic (PV) systems, electric vehicle chargers, energy efficient windows, or heat reducing roofs or who purchase energy saving appliances. Additionally, like most utilities, it provides customers the opportunity to purchase, for a premium, up to 100% of their electricity from green sources. The Tillamook Public Utility District (PUD) cooperative is in the heart of one of America’s most well known dairy areas. (Tillamook cheese is sold even in Hong Kong.) 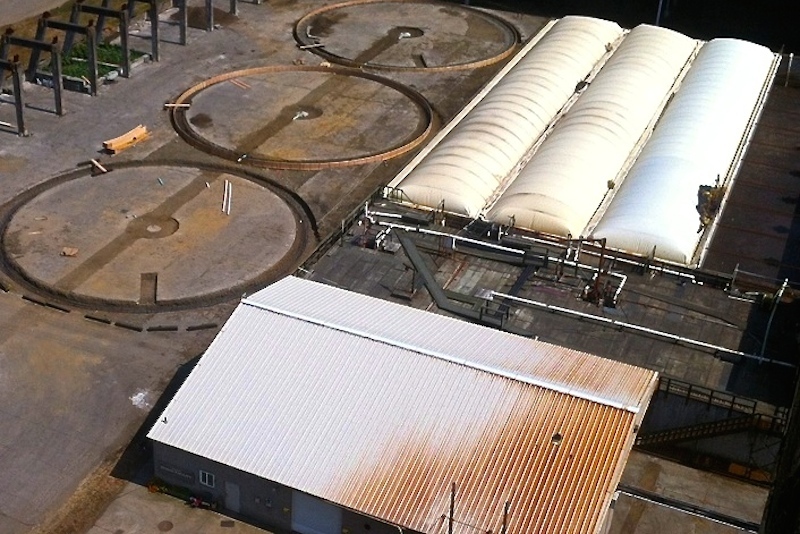 The bulk of Tillamook PUD’s power comes from hydro sources, but some comes from the Hooley Digester. This facility processes manure from 4,000 dairy cows to capture its methane which is then burned to operate turbines which generate electricity. Livestock agriculture is the primary source of human-activity caused atmospheric methane, a gas whose greenhouse effect is about 80 times more potent than CO2. So every effort to reduce methane is good news for nature.